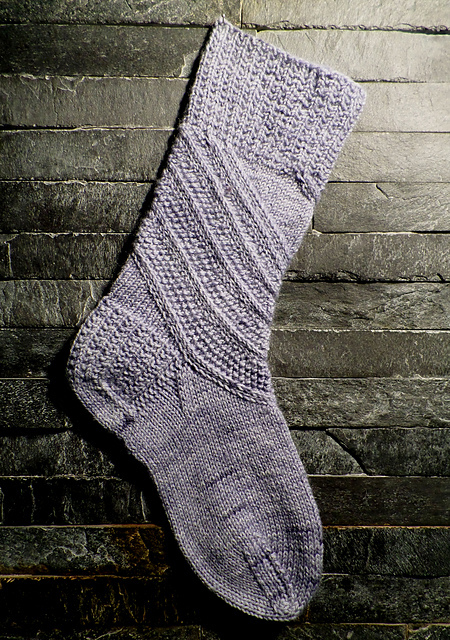 A curvy sock pattern with symmetrical motifs which sprial out from the foot and around the leg! Textured stitches and unique techniques provide the visual interest. 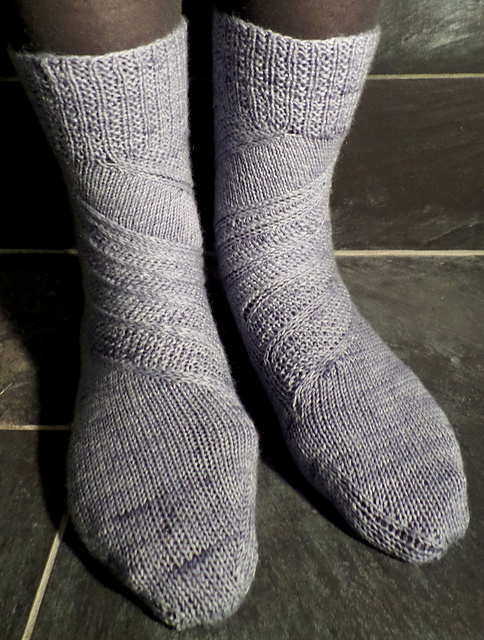 The top-down sock includes full written instructions and a photo-tutorial on the more unusual techniques used in the pattern. 28 stitches x 21 rows to 4” / 10cm. Small (Medium), approx. 8 (9)” / 20 (22)cm foot circumference and 10 (11)” / 25 (27)cm leg length—all dimensions are approximate and unstretched. A large version is in development. The photo tutorial for the ‘Faux I-cord’ effect used in the pattern can be found here. The leg length can be customised.